Last year I picked up the New York Times, and there was a story about a kid from Dartmouth who was bragging that he never left his room and made dates and ordered pizza with his computer. The pièce de résistance of this story was that he had two roommates, and he was proud of the fact that he only talked to them by computer. Talking to each other by computer may have emerged in recent years as one of our primary modes of contact, but the StoryCorps program is about a technology far more fundamental: the apparatus of the human voice. Begun in 2003 by radio production company Sound Portraits, StoryCorps is "a national project to instruct and inspire people to record each others' stories in sound." Studs Terkel, Chicago's most famous oral historian and an inspiration for the project, opened the original StoryCorps kiosk with a speech that emphasized the need to "celebrate the uncelebrated," to listen to the stories of everyday Americans in a culture fixated on celebrity. (The speech is available in mp3 format here.) And so it was that, after spending its first two years in a stationary flagship in that all-American of crossroads, New York's Grand Central Station, StoryCorps headed out on the highway, traversing the country in a six-month-long tour. 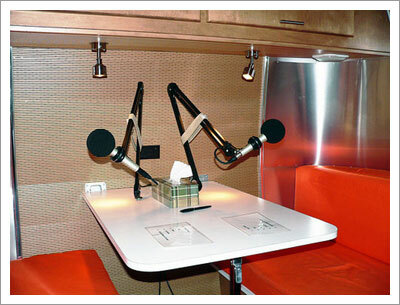 The recording booth inside the StoryCorps Airstream trailer. I've had eight years of the yards. It's a lot different now, with the union and all. We used to have to buy the foremen presents, you know. On all the holidays, Xmas, Easter, Holy Week, Good Friday, you'd see the men coming to work with hip pockets bulging and take the foremen off in corners, handing over their half pints. They sure would lay for you if you forgot their whiskey, too. Your job wasn't worth much if you didn't observe the holiday "customs." The women had to bring 'em bottles, just the same as the men. You could get along swell if you let the boss slap you on the behind and feel you up. God, I hate that stuff, you don't know! I'd rather any place but in the stockyards just for that reason alone. The aim of StoryCorps is to continue that work; listening to today's accounts and allowing for a shift in some of the particulars, you quickly realize that's exactly what it's doing. And, just as the WPA interviews were archived, with the permission of participants, their present-day counterparts are submitted to the American Folklife Center at the Library of Congress as well. The exciting addition to the formula, of course, is the contemporary ability to collect these stories in the voices of those who lived them, a development that highlights and preserves the very oral nature of these accounts. With both the weight and promise of history in mind, a shiny Airstream with a bright orange and silver interior staked out some turf in front of the Field Museum on a recent mid-August morning. Although the first day of operations may have seen a drenching like few we've encountered this summer, spirits of the participants were hardly dampened. Instead, in honor of his work as the city's cultural historian, Tim Samuelson and his wife, Barbara Koenen, were invited to be the first Chicagoans to enter the traveling MobileBooth, which they did promptly at 10:30am. Samuelson had only informed the missus of their appointment about 12 hours prior, but one got the sense that impromptu scheduling isn't the sort of thing that bothers her. Afterward, Koenen spoke of the intimacy of their experience, how it comprised a "complete moment" in which the couple could simply concentrate on their individual and shared pasts as they preserved it for both the people they know and for public posterity. While they claim some of the stories that came up in their conversation are old hat to certain friends and family, listen as they describe the allotted 40 minutes in the interview booth. Press play to listen, or click here (492K mp3). Koenen clearly valued the conversation with her spouse, but she also mentioned how meaningful she imagined interviewing her mother would be. Of course, as David Umansky of National Public Radio learned by experience, child/parent conversations can sometimes do more than merely preserve a moment in the rapid passage of time: they can bring out some family secrets, too. Earlier this year, Umansky's daughters spoke to his wife, their mother, at the kiosk in New York. It was there that they shared for the first time that, as children, during the summer months, their third floor bedrooms would become too hot for comfortable sleep. To combat the heat, the girls would sneak downstairs after their parents had gone to bed, adjust the thermostat, and then set their alarms to adjust it again before Mom and Dad awoke. Understandably, this revelation led to some retrospective parental guilt. Still, when asked about his family's plans for the copy of the interview (each participant receives one), Umansky expressed the desire to play it for his mother, emphasizing the share-ability and potential resonance of the interview beyond those directly involved. Press play to listen, or click here (1.7MB mp3). While in Chicago, StoryCorps aims to collect approximately 100 stories. 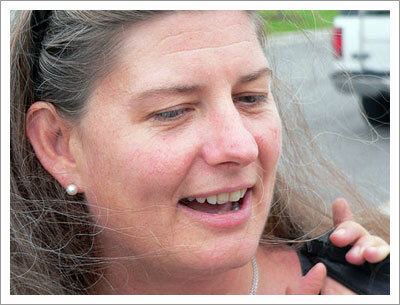 Some participants, like Samuelson and Koenen, were invited to share their lives because they offer a potentially unique view of regional history. Chicago Public Radio producer Breeze Richardson's face lights up as she lists a few of the people whom she hopes to see involved: staff of a local HIV/AIDS support ministry, the founders of a gangster-themed tour, important contributors to Chicago's early hip-hop scene. Nevertheless, she says the interviews she gets most excited about are the ones that will be done by community members who have simply volunteered to participate. And, indeed, there were many who expressed such a desire. Within hours of the reservation system coming online, Chicagoans had jammed it and snapped up all the available spots. 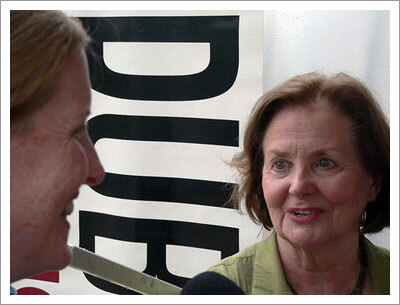 Among those who succeeded in reserving a timeslot were veterinarian Barbara Royal and her mother, Charlotte Royal. Barbara is one of seven siblings, and she said she prepared to interview her mother simply by asking her brothers and sisters what they wanted to know about their mom's life. Based on Charlotte's comments after emerging from the booth, the six other Royal children can expect to have similar conversations with their mother quite soon. Press play to listen, or click here (1.2MB mp3). The public can hear stories like the ones shared by the Royal family as they play on Fridays during NPR's Morning Edition and, through September at least, Tuesdays and Thursdays on Chicago Public Radio's Eight Forty-Eight. 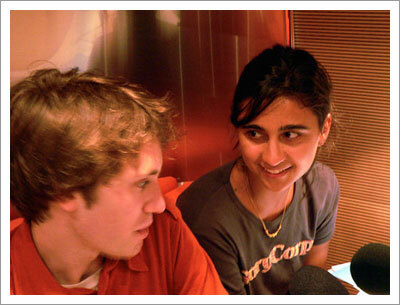 But hearing — and, to an extent, participating in — this sort of interview has become a way of life for StoryCorps facilitators Nick Yulman and Rani Shankar. Emblematic of the diversity in the StoryCorps staff, Shankar came to the project with a master's degree in public health and no radio experience. And while Yulman may have had little more background in sound work, what drew them both in was a shared commitment to preserving the past in a patchwork of voices. Press play to listen, or click here (724K mp3). Recognizing that not everyone interested will have their chance in the booth, Yulman and Shankar suggest following the StoryCorps DIY guide and recording at home. Ultimately, they say, that's what the project is about: initiating conversations with those for whom we care; the venue is surely secondary. Torey Malatia, president of WBEZ, would no doubt agree, but he also suggested that the interest and enthusiasm Chicagoans have shown for the StoryCorps program may well be the impetus for a permanent local booth. While that effort would take some time to get off the ground, in the more immediate future, the Third Coast Audio Festival will host a free public wrap-up of the StoryCorps visit on September 7th at the Harold Washington Library Center downtown. The event will feature David Isay, the man behind the project. Isay's 1993 "Ghetto Life 101" radio documentary, which furnished two teenagers with recording devices to tape their lives in Chicago's Ida B. Wells public housing development, provided something of a model for this now-national effort. 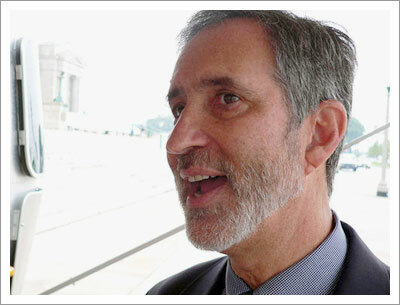 He'll speak about the StoryCorps mission and play some of the interviews collected during its time here. For more information about the event and local involvement in the old, but new work of celebrating the uncelebrated, visit the Chicago Public Radio website. 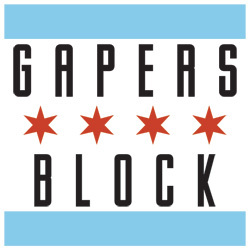 Matthew Peck contributes to Gapers Block and studies English at Northwestern University. 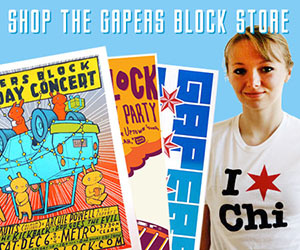 David Elfving is also a Gapers Block contributor and is studying communication at UIC. Together, they have 5500 greasy skillets.